Inundated with the cackle of holiday magazine ads, the challenge is making an advertisement stand-out. Every Thanksgiving Season, traditional values get reincarnated as families across America munch down on giblets, cranberry and gravy. 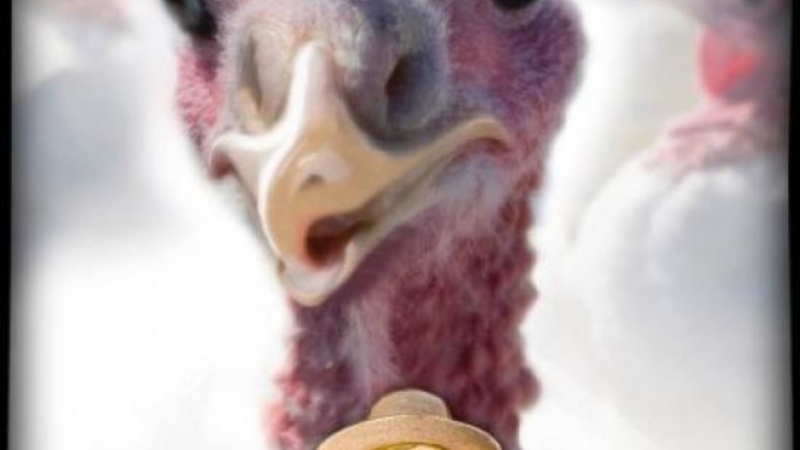 How about “Tofurkey” this holiday? Finding traditional holidays humorous, I proceeded to design a magazine ad for Mother Earth Store House health food groceries. The ad is comprised of a photo illustration of a hen that uses some text message shorthand to express her confidence of her flock’s desirability. Tofurkey which is a “Tofu” version of the traditional turkey for vegans is the perceived threat to her popularity. As in any crowd of peers, it’s important to be popular. In case of this flock of birds, each one has a certain status within its framework. 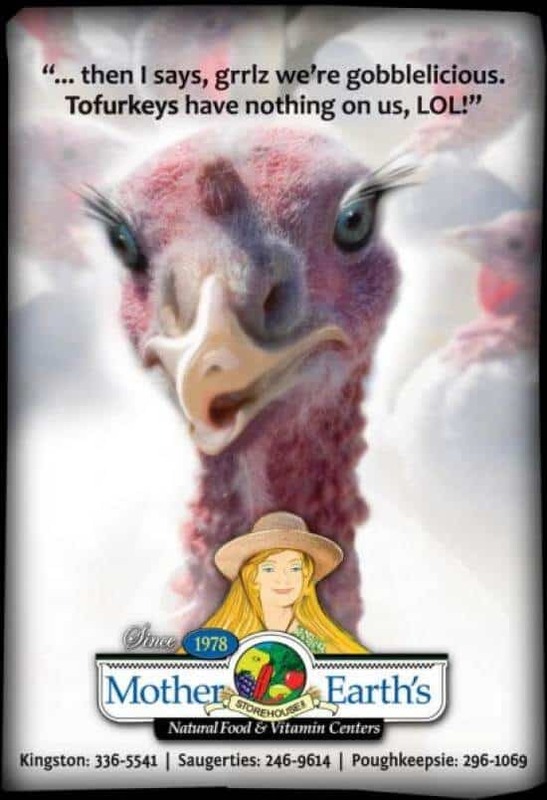 Miss Turkeylicious defends her “grrlz” as they worry about the competition of their new rival, Tofurkey, vegan style alternative to the traditional Thanksgiving gobbler. This ad design was created to do two things: catch the readers’ attention and compel them spend time pondering its meaning.